McWilliam Sailmakers has been established since 1971. We pride ourselves on our ability to provide top class service from our initial contact with our customers to our excellent on going service and distribution. We have a team of employees who will take care of all your needs and be happy to answer any queries you might have. In 1975 we bought our own plane to overcome delivery difficulties from Ireland to Europe. We found that it was impossible to buy a windsock that would last more than one year, so we made our own from sailmaking quality materials. Other fliers soon began to notice, and orders began to flow. 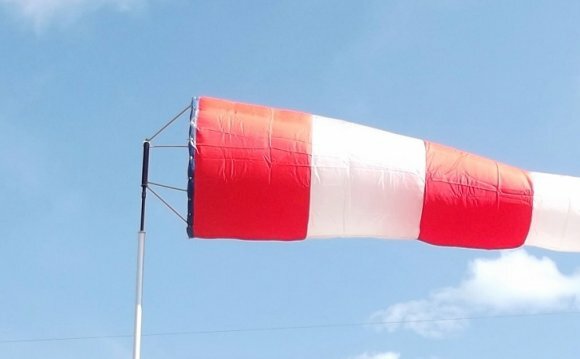 Originally designed for airfield use, the windsocks, swivels and masts are now increasingly sold to industrial and chemical plants to alert the emergency services to the ambient wind direction and strength in the event of fire or gas leakage. Many industrial plants in Ireland need a windsock in order to comply with Environmental Protection Agency licensing requirements. We have supplied and satisfied customers in Abu Dhabi, Falkland Islands, Greenland, Holland, Ireland, Malaysia, Malta, Nigeria, Norway, Oman, Singapore, Sri Lanka, USA and UK.